The final round -WSBK Qatar | B.I.R.D. Discussion in 'The Sports section' started by KUCIAR666, Oct 31, 2017. 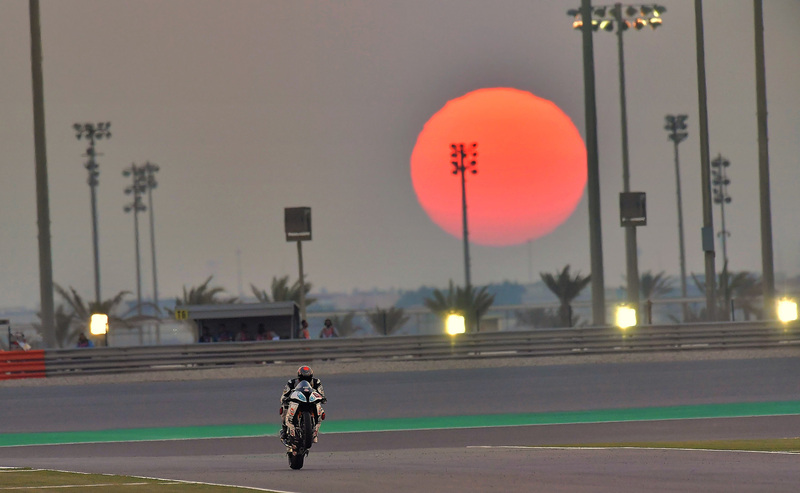 As is now tradition, the FIM Superbike World Championship season finale will be held under the dark desert skies and floodlights of the Losail International Circuit in Qatar. 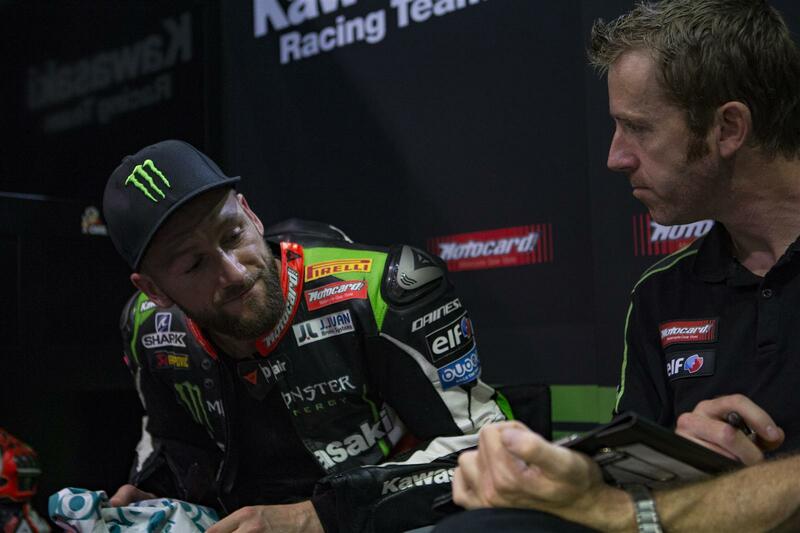 With Jonathan Rea the new and three time WorldSBK champion, and with Kawasaki and KRT winning the Manufacturers’ and Teams’ championships respectively, the immediate focus is for 2013 World Champion Tom Sykes to secure second place in the final points table. The drama of the final 2017 weekend in what has been an outstanding season for Kawasaki is always magnified under the vast array of artificial lighting rigs that turn the desert night into brilliant day at the 5.380km circuit near the Qatari capital, Doha. Injured at the Portimao round in September Sykes is looking to ensure he scores enough points to finish second in the championship table. He is currently tied on the same total as Chaz Davies, with his fellow Briton above him in the official standings as he has more race wins to his credit in 2017. A Kawasaki 1-2 in the Riders’ championship would be the perfect end to an almost perfect season, with the Ninja ZX-10RR proving to be the package to beat in the first year of its ‘RR’ model designation. In another new initiative for 2017, the series organisers will hold the Losail races on Friday and Saturday, 3rd and 4th November, not the more traditional Saturday and Sunday. This move is designed to make it easier for the local fans to join in the celebratory atmosphere of the championship finale. Action on track first gets underway with FP1 and FP2 on Thursday 2nd November. The state of Qatar, and the Losail International Circuit, is the final destination for the Althea BMW Racing Team in that it plays host to the final round of the 2017 Superbike World Championship this coming weekend. Although the races will take place during the evening as is now tradition, a change to the schedule will see race one play out on Friday and race two on Saturday evening. Racing under the floodlights adds another element to the spectacle that is the final round of the championship. During the 2016 Losail edition, Torres obtained a best result of sixth in race 1, while De Rosa concluded the first race in ninth position. As the final round gets underway, Torres lies in ninth place in the general standings, with 149 points, Raffaele De Rosa is sixteenth with 48 points. The Althea BMW Racing team hopes to be able to round out the season with solid results under the Qatari spotlights. SBK RECORDS: Best lap – Rea (Kawasaki) 1'56.974 (2016). Superpole – Rea (Kawasaki) 1'56.356 (2016). The Pata Yamaha Official WorldSBK Team are relishing the opportunity to perform at the final round of the 2017 FIM Superbike World Championship in Qatar this weekend. Having gone from strength to strength throughout the year, the team will be looking to bow out on a high to bring an end to a 2017 season that has seen them emerge as regular podium contenders. Alex Loweswants to finish the year in the strongest possible way and is hoping to add to his tally of three podiums so far in 2017 after back to back fourth-place finishes last time out in Jerez. His teammate Michael van der Mark, fresh from a superb MotoGP debut for the Monster Yamaha Tech 3 Team in Malaysia, hopes to continue the form that has seen him record two podiums at the last three rounds and eleven consecutive points-scoring finishes. Lowes loves the unique experience of racing under the floodlights at Qatar, and the 27-year-old British rider secured seventh in Race 1 at Losail last year, before fighting back superbly in a restarted Race 2 after a first-corner incident that saw him forced to charge his way from the back of the field to a well-deserved tenth-place finish. Lowes was on fire at the last round in Jerez, with two strong rides that saw him once again battling with the top riders in the championship, just missing out on the podium in both races. The 2013 British Superbike Champion currently sits fifth in the championship standings with 226 points, with a maximum of 50 up for grabs at the final round of the season in Qatar. 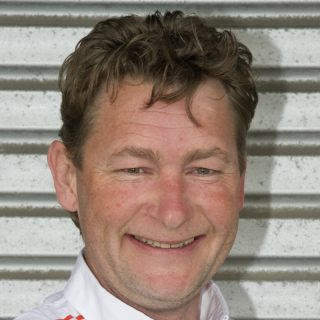 Van der Mark is also a fan of the Losail International Circuit and is excited about his first opportunity to ride the track on his Pata Yamaha R1. The Dutch rider recently celebrated his 25th birthday and flew straight to Qatar from Sepang after an excellent performance deputising for the recovering Jonas Folger on the Monster Yamaha Tech 3 M1 at the Malaysian GP, where he finished in a very respectable 16th place on his MotoGP debut. The 2014 Supersport World Champion has been in stunning form at the last three rounds, with two podiums and five top-six finishes in six races, and van der Mark wants to continue this run at the season finale to finish the year in the best way possible. He is currently sixth in the championship standings with 210 points, just 16 behind his teammate Lowes. The 5.380km Losail International Circuit is located 30km north of Doha in Qatar and plays host to the only night race on the WorldSBK calendar. Opened in 2004, this will be the ninth time the circuit has held a WorldSBK round and the track itself consists of 16 corners, ten right and six left-handed, plus a start/finish straight that is over a kilometre long. Providing a mix of fast-flowing corners and some technical slower sections, it has become a firm favourite with the riders and its layout always seems to provide an exciting spectacle under the floodlights for the fans. The Acerbis Qatar round follows a different schedule than most, with just the WorldSBK & WorldSSP classes involved and the track action taking place at night from Thursday-Saturday. Therefore, the Pata Yamaha Official WorldSBK Team will take to the track for Free Practice 1 on Thursday afternoon at 17:45 pm local time, with Friday's qualifying starting at 18:30 pm and Race 1 at 21:00 pm, while Saturday's Race 2 is also scheduled for 21:00 pm. "This season seems to have gone by really fast! I'm ready for the final race of the year and I will be giving it everything I can to finish as strongly as possible. The race in Qatar is unique as it's our only night race, which I really enjoy. Overall the season has gone pretty well and I feel like I am improving all the time, so I want to make sure I take another step forward this weekend. The R1 finished on the podium here last year, and I learned a lot about getting the best from the bike at this type of track, so I think both me and my Yamaha are ready to give a strong performance! " "I am looking forward to the last race of the season, even if it's difficult to believe it's arrived already. The Qatar round is one of my favourite races of the year under the floodlights and I really like the track. Hopefully, we can finish the season on a high note as we have been really competitive in the last couple of races. There are some small points we can improve to make sure I am able to be fast right to the end, and I look forward to ending the year in the best way possible." The final round of the 2017 Superbike world championship got underway today at the Losail International Circuit in Qatar. Althea BMW riders Jordi Torres and Raffaele De Rosa were out on the floodlit track this evening for the first two sessions of timed practice. In a change to the traditional programme, the timed practice sessions play out on Thursday this year, with the weekend’s races to be run on Friday and Saturday rather than the classic Saturday-Sunday format. In first practice, which took place at 5.45pm local time with an air temperature of 30°C, Torres and De Rosa started working to set up their BMWs together with their technicians. A series of fast laps for Jordi in the latter stages saw him close tenth (1’59.295), while a quickest time of 1’59.846 for De Rosa positioned him thirteenth at the session’s end. The second session saw De Rosa lower his time by half a second early-on. Improving further throughout the 60-minute session, the Italian set a fastest time of 1’59.218 to finish the practice in thirteenth place overall. Torres’ fastest time came towards the end of the session; a best of 1’58.726 for the Spaniard put him in eighth position at the end of day one. While De Rosa will have to take on Superpole1 tomorrow, Torres has qualified directly for Superpole2. 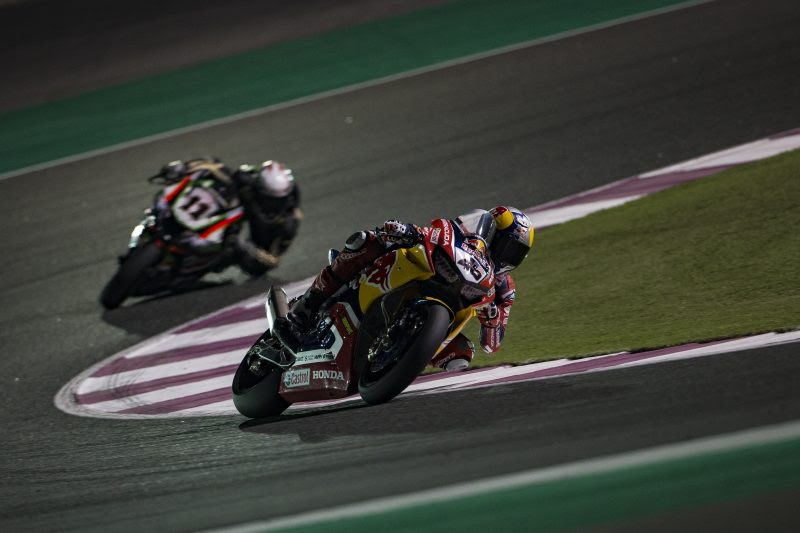 The Red Bull Honda World Superbike Team has completed the opening day of action for the final event of the 2017 FIM Superbike World Championship – which is currently taking place at the Losail International Circuit. The standard bearers for the Dutch-based squad at this round Davide Giugliano and Jake Gagne were 16th and 17th, respectively, in the combined times of today’s two free practice sessions held under floodlights at the iconic circuit located on the outskirts of Qatar’s capital city Doha. Despite being unable to move up the timesheets between the two sessions, both riders managed to significantly improve their lap-times in the latter hour of action as they worked hard with their crews to improve the feeling with their Honda CBR1000RR Fireblade SP2 machine at this long, wide and beautifully flowing racetrack. 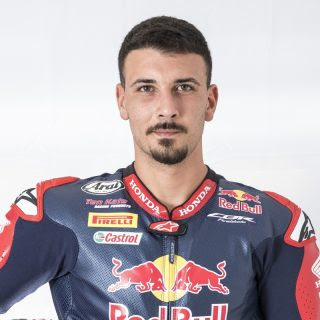 Giugliano successfully tried new electronic settings, while for 24-year-old Gagne the priority was to get to grips with the new circuit – as well as to riding under artificial lighting. In light of today’s results, Giugliano and Gagne will take to the track at 18:30 local time (GMT +3) tomorrow for Superpole 1, before lining up on the grid for the 17-lap, first race of the Qatari round which will get underway two and a half hours later (21:00). Today was a quite productive day! We tried some new electronic settings which I never tried before and that represent – at least for me - a little but positive step forwards. I was expecting to be a little quicker, but there’s still time to do some more work tomorrow. The good things is that the bike works very well chassis-wise, although we still need to do some more work with the electronics in order to improve our pace. I think things will be better tomorrow. I feel I got to grips with the track pretty quickly, but it was also a matter of getting use to riding under floodlights: it was kind of strange in the first two-three laps, but soon after that it was not a problem anymore – it’s just you and the track. We made a lot of progress today, with me simply having to get used to this bike again and learning my way around the track. Towards the end of FP2 we made a couple of changes to chassis and electronics, and I feel we’re heading in the right direction. I’m really looking forward to tomorrow. The first session was not an easy one for Davide as things didn’t go as smooth as we’d hoped and that cost us some valuable track-time. Both crew and rider did a great job in FP2 and tried successfully some different electronic settings, so we’re confident for some more improvement tomorrow. Jake did quite well despite the lack of knowledge of the track and being his first time riding under floodlights, so all in all it was more of a productive day than what the timesheets would suggest. The Pata Yamaha Official WorldSBK Team got off to their best start of the year in Qatar on day one of the final round of the 2017 FIM Superbike World Championship. In the sweltering heat and humidity under the floodlights at the Losail International Circuit, Alex Lowes continued the excellent form he has shown at the last two rounds, finishing the day in a sensational second position on the combined timesheets, just 0.259s off the top. Michael van der Mark also had a great start to the final race weekend of the season, ending Thursday in fifth overall to cap a superb opening day for the team with both riders, once again, making it directly through to SP2. Lowes arrived in Qatar full of confidence after two strong rides to fourth at the last round in Jerez and he was quick right out of the blocks as the sun set in Qatar, setting a 1:59:502 on his just his second lap. Unfortunately, just as he was starting his fourth flying lap, the 27-year-old British rider was caught out by the dusty track conditions that often affect the early sessions at the Losail International Circuit and had a small crash at Turn 1. Luckily, the 2013 British Superbike Champion was unhurt and his team worked superbly to repair his Yamaha R1 in time and allow Lowes to take to the track for the final ten minutes of the session. Lowes managed to improve his time to a 1:58.679 on his final lap to finish the session in fourth. Track conditions had improved for FP2 and determined to make up for the lost time, Lowes got straight down to work and, after an early red flag, managed to run a full race simulation to collect vital data for his team with most of the laps in the 1:58s, highlighting his very strong pace and consistency. Heading out to set a quick time at the end of the session, he managed a brilliant 1:57.925 on his very last lap to end Thursday in second overall, just 0.259s off the pace of Jonathan Rea. Fresh from an excellent MotoGP debut in Sepang with the Monster Yamaha Tech 3 Team the weekend before, Van der Mark approached Thursday at the Losail International Circuit in his usual fashion, building his pace with the Yamaha R1 throughout the day. Despite a lack of grip in FP1, there was almost nothing to separate the 25-year-old Dutch rider and his flying teammate at the end of the hour long session, with van der Mark recording a 1:58.680 to finish just 0.001s behind Lowes in fifth place. In FP2 van der Mark focused on trying to find the right setup with his Pata Yamaha R1, working with his team in an effort to find increased rear grip. After making some tweaks, the 2014 Supersport World Champion put together a nice run of laps in the mid to high 1:58s, but still feels there is more potential to unlock with his R1 when it comes to race pace. On his final run, he managed to set a 1:58.315 which saw him finish fifth overall on the timesheets, 0.649s off the top, and he is determined to make another step forward on Friday in Qatar. The Pata Yamaha Official WorldSBK Team return to action at the Losail International Circuit in Qatar on Friday at 16:20 pm local time for FP3, with qualifying due to start at 18:30 pm and the 17-lap Race 1 at 21:00 pm. "Before the weekend, I was really looking forward to this round as it's a track I really enjoy! The team got their first podium here last year as well, so it's obviously a track that suits the Yamaha R1 too. I also feel like I am riding well at the moment, so it was a bit annoying to make a mistake right at the start of FP1 and miss about 45 minutes of the session, which was a shame because we missed out on some time to find the right setup. In FP2, I made a long run and felt quite good plus, after missing out on the time in FP1, there is a good chance we can make more improvements tomorrow. I really, really hope I can fight with the guys at the front during the race, as it has been a great year and I want to finish it as strongly as possible. FP2 was a very busy session and doing a race simulation in these temperatures is always hard work but it is all about putting in the effort in during practice so that you can reap the benefits come race day!" "We have had a good first day here in Qatar and I am very happy with my Pata Yamaha R1! To be honest, we had quite a good pace but we are still struggling a little bit, so we have some changes to make for tomorrow. Anyway, it was good to see how much the bike has improved again, every track we get to it is now competitive straight away. The bike was quick here last year and it was great to see with all the changes we have made this season that it was still quick here! I am happy with how today went but, for sure, we have a lot of work to do as I have a good one-lap pace, but we need to work on our consistency. One of the issues is grip, we managed to solve most of the problems by the end, but we are still searching for the perfect setup and we will work as hard as we can tomorrow to get it right!" "The night race here in Qatar is always a slightly surreal and special atmosphere and the bikes look fantastic under the lights at the Losail International Circuit. The Pata Yamaha Team achieved its first podium here at the end of 2016 and following some great results in Magny-Cours and Jerez, we arrived here with the confidence that we would be able to perform quite well. It has been the best first day of the season for the team, the only minor blip being Alex's crash in FP1, but on a dirty, dusty circuit it is easily done and, most importantly, there was no harm done to the rider. Once the bike was retrieved, the team did an incredible job to repair quite extensive damage very calmly but, also very quickly, to get Alex back out at the end of the session to not only check the bike but also to improve his lap time. Well done to Alex's crew and everyone involved! The track improved a little in FP2 but as the humidity levels rise that also causes its own issues. We managed to improve quite significantly with both riders, Michael pushing hard and showing good consistency as always, in addition to a race simulation and a great lap at the end for Alex, and P2 and P5 were just reward for a good day's work by the whole team." 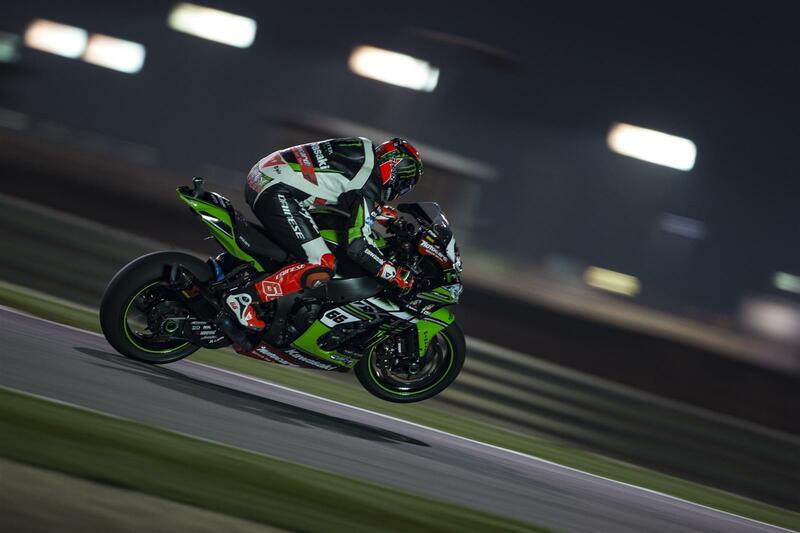 The first day of action in the final round of the 2017 FIM Superbike World Championship saw Jonathan Rea set the fastest lap time and Tom Sykes finish up third quickest at the Losail International Circuit. Action got underway on Thursday, not the more usual Friday, with the races to be held on Friday and Saturday. After two sessions under the floodlights at the 5.380km circuit in the Gulf state of Qatar Rea was 0.259 seconds ahead of the second placed rider Alex Lowes. The Qatar event is a popular one with the riders and teams, partly due to the schedule which sees the practice sessions races held in the relative cool of the evening. Rea is a particular fan and made the most of his two hour long sessions on track, trying out some chassis settings to be ready for the first race of the weekend, to be held on Friday night at 21.00. Sykes, who carried a throat infection into the Losail weekend, started off the day in second place with only Rea ahead in FP1. Just before his bike experienced a technical issue in FP2, Sykes had improved his best lap time and ended the day third overall. Both KRT riders will now make their final race preparations in the 25-minute long FP3 session on Friday, before Superpole 2 and then the first of two 17-lap races. The second will take place on Saturday, at the same starting time of 21.00. The Losail international circuit in Qatar is hosting the final round of the 2017 Superbike world championship this weekend. The first of the two SBK races, which took place this evening under the floodlights, brought mixed results for the Althea BMW Racing Team, seventh across the line with Jordi Torres, while Raffaele De Rosa unfortunately suffered a crash on lap ten. Superpole 1: immediately quick with the race tyre, De Rosa was lying third as he headed into the pits to put in the qualifier. Back on track, the Althea BMW rider set an excellent lap time, a 1’58.747, but unfortunately just missed out on second place, and also access to Superpole2, in the final seconds, forced to settle for third. A fifth row start then for the Italian in race 1. Superpole 2: Torres’ best lap came in the final seconds of the short session, with the Spaniard able to set a 1’58.087, to conclude in eleventh place, translating into a fourth row start for the first race of the weekend. SBK - Race 1: From eleventh on the grid, Torres maintained that position through the opening laps, followed by team-mate De Rosa in twelfth. Passing Guintoli, a mistake for Torres on lap five saw him lose several positions. The Spaniard pushed to make up the lost ground, passing riders to re-position tenth by mid-race. Improving further on his position through the latter stages, the Althea BMW rider crossed the line in seventh position. De Rosa, having made up three places early on to place ninth on lap seven, continued to lap with a consistent pace, behind team-mate Torres, but unfortunately suffered a crash on lap ten, putting a premature end to his race. 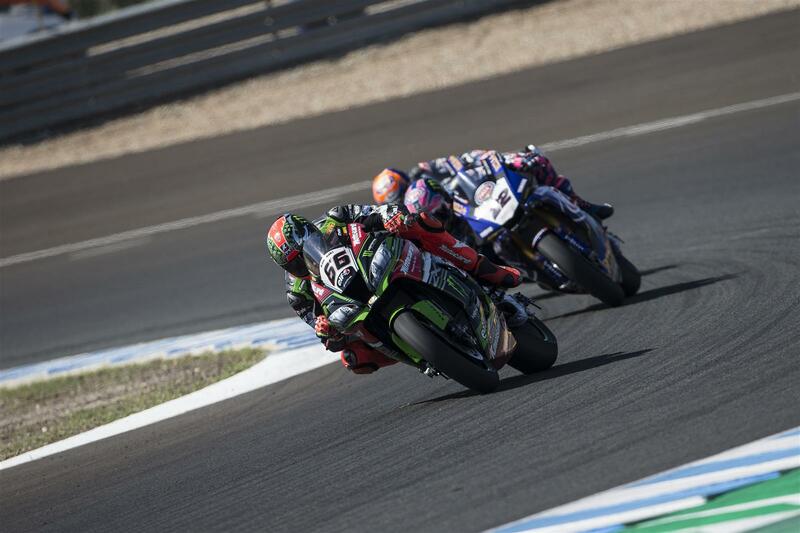 The opening 17-lap FIM Superbike World Championship race of the final round saw Jonathan Rea record his 15th race victory of the year, surpassing his previous personal best of 14, which he set in 2015. Fellow KRT rider Tom Sykes had rear traction issues throughout the race and dropped from a strong second to a final sixth at the flag. From pole position, which he earned with a new track best of 1’56.228 earlier in the day, Rea was unstoppable out front under the floodlights in Qatar, winning by almost five seconds and easing up over the line. His Superpole win was his tenth for Kawasaki, and his sixth of the season. This was Rea’s first WorldSBK race win at Qatar, and also the first for a Kawasaki rider at the 5.380km circuit in the desert near the capital city of Doha. In taking his victory today Jonathan is now second in the all time WorldSBK race win rankings, with a career total of 53. Only Carl Fogarty, with 59, has won more races across his career than Jonathan. Should Rea win the Saturday race at Losail, the last one of the year, he will take the record points total in one season to add to all his other achievements in 2017. For Sykes, who is still trying to ensure he finishes the year in second place overall, finding less drive than he expected in the opening race saw him finish in sixth place. As a result of this he dropped ten points behind his rival for the runner-up spot, Chaz Davies, who was second today. The final race of the year will take place at 21.00 local time, on Saturday 4th November. Jake Gagne has taken fifth place in today’s 17-lap, opening race of the 2017 WorldSBK season finale at the Losail International Circuit in Qatar, equalling his best finish in the series scored in his previous appearance at Magny-Cours a month ago. His Red Bull Honda World Superbike Team mate Davide Giugliano was forced to an early retirement at the end of lap six. Gagne got a decent launch from eighteenth place on the grid and had a competitive opening lap, as he made his way past some rivals to enter the top-15. As the race progressed, the 24-year-old from San Diego battled with Guarnoni for eleventh position before consolidating twelth place in the latter stages of the encounter. Giugliano got a good launch from the fifteenth slot of the grid and was able to move up two places as the World Superbike field entered turn one. The 28-year-old Italian then started to lose ground and was passed by his team mate Gagne, before making his way back to the pits and pull out of the race. The final race of the 2017 FIM Superbike World Championship will get underway tomorrow at 21:00 local time (GMT +3), with Giugliano and Gagne again 15th and 18th, respectively, on the starting grid. We made a lot of progress this morning in free practice 3 and I was feeling really good, but unfortunately I made a few mistakes during Superpole 1 which didn’t allow me to get a good qualifying position for the race. I got off to a decent start and got in the mix at the back, then made a couple of passes but then there was some smoke coming off another rider’s bike, which kind of made us slow down and lose touch with the group ahead. On lap nine I started to lose some grip so I could not push as hard as I wanted in the remaining laps. Twelfth place is not too bad and we have some ideas on what to change on the bike for race two, so hopefully we’ll be able to go quicker tomorrow. My start was good and I got up to thirteenth place, but very soon I started having issues with shifting, and ultimately I had no choice but to return to the pits. The team is currently investigating to find out what happened, but surely it’s a shame for how things went in the race because we showed some progress in Superpole 1 and I was ready to put up a fight. Now we need to regroup and get ready for the last race, because we all need one good result to wrap up the season. It surely wasn’t the type of result we were expecting from today, and it has been a quite challenging race no doubt, but Jake did a great job and didn’t give up even when the grip went away. He was twelfth again but we’re quite confident he can be quicker tomorrow. It’s a real pity for Davide, because he got off to a great start and I think he could have battled for a top-10 finish, so hopefully things can turn in his favour tomorrow so he can show all his talent in the final race of the year. The Pata Yamaha Official WorldSBK Team suffered from a double dose of misfortune under the floodlights in Qatar on Friday, as both riders crashed out of Race 1 after having shown real promise throughout the weekend. Alex Lowes recorded his second consecutive front-row start and started Race 1 from P2 on the grid. During the race, he was involved in an excellent battle for second position before he crashed at Turn 16. He managed to rejoin but, due to damage sustained in the original accident, crashed again with two laps to go bringing a premature end to his race. His teammate Michael van der Mark qualified in seventh and was battling hard during the race to chase down the leading group when he was unlucky to make contact with another rider and crashed out on lap 7. Lowes had been in sensational form on Thursday at the Losail International Circuit, with the 27-year-old British rider finishing practice in second overall on the timesheets, just 0.0.259s off the top. In FP3 he showed blistering pace to lead for most of the session, staying out for the entire time on the same set of tyres before finishing in third. He and his team made another step in SP2, with the 2013 British Superbike Champion setting a 1:56.675 to start his second consecutive race from the front row in P2. When the lights went out, he was immediately involved in the battle at the front, passing Tom Sykes to move into second and then becoming embroiled in a brilliant three-way scrap for second with Xavi Forés and Chaz Davies, as he looked to record his fourth podium of the season. Passing Forés for third on lap ten, he set his sights on Davies ahead of him, closing the gap dramatically before losing the front at Turn 16 on lap 11. Unfazed, Lowes immediately remounted his Pata Yamaha R1 but rejoined the race in dead last. Riding at the winner's pace, he quickly made his way up to 13th position before, with just two laps to go, he crashed again, this time at Turn 6 due to factors connected with the first accident. Lowes luckily escaped both crashes unscathed and will start Saturday's Race 2 from the head of the fourth row in tenth position. He remains fifth in the overall championship standings with 226 points. Van der Mark had also impressed throughout the weekend as the Pata Yamaha Team showed great pace in the desert, ending Thursday's practice in fifth overall. The 25-year-old Dutch rider then made a step in FP3, showing a very strong race pace but in SP2, despite feeling confident on the race tyre once more, he could not quite make the qualifying tyre work for him and finished the session in seventh. Starting the race from the head of the third row, van der Mark made another got off the line well but got stuck on the outside at Turn 1 and found himself down in tenth place. Immediately he started to pass the riders in front of him, re-taking seventh by the end of the first lap. He bided his time and waited for things to improve and in his usual style, he started to up the pace as the race went on. On lap 7, as van der Mark was closing down the riders in front of him, he just misjudged the pace of a struggling Tom Sykes as he lined up an overtake, clipping the back of his Kawasaki in Turn 9 and crashing out of the race. Luckily, Sykes was not affected and van der Markwas uninjured, although it sadly brought an end to his run of 11 consecutive point-scoring finishes. The 2014 Supersport World Champion will line up for Saturday's Race 2 in 12th on the grid and remains sixth in the championship standings with 210 points, 16 behind his teammate with 25 points up for grabs in the final race of the season on Saturday. The Pata Yamaha Official WorldSBK Team will take the positives from Friday in Qatar and are determined to bounce back in Race 2 at the Losail International Circuit which is scheduled for 21:00 pm local time on Saturday. Check out the full race results. "Obviously, I am gutted about what happened in the race. We have been really strong all this weekend, I was second overall after Thursday's practice and we made another step today for SP2 to make it two consecutive front row starts. I was feeling really confident that I could battle for the podium during the race. I had a good start from the middle of the front row on the grid and, honestly, felt really good during the race, battling with the guys for second. I gave it everything to catch and pass Chaz but I just pushed a bit too hard and lost the front at Turn 16. Of course, I wasn't going to give up and managed to re-join and fight my way back before somehow my glove got caught on the damaged brake lever and I crashed again. It was a disappointing end to a really encouraging day but I will bounce back in Race 2 tomorrow and give it everything to finish the season with a strong result!" "We made quite a big step today compared to Thursday and I was feeling pretty good in FP3. In SP2 I had a really good pace with the race tyre, but I couldn't quite get the qualifying tyre to work for me but I knew I had a good pace for the race. I had a pretty good start but just got hung out to dry a bit at Turn 1, although I made up the places I had lost almost immediately. To be honest, at the beginning I was struggling with the pace a bit, I just didn't have the speed to follow the guys in front but as the race went on, I was getting faster and faster and building my confidence with the bike. Unfortunately, through Turn 9 I was aiming to pass Tom Sykes into Turn 10 but we had completely different mid-corner speeds and I hit him quite hard - luckily, he didn't crash. It is a real shame as I think we could have been in the top five, if not battling for the podium. I am really sorry and I hope to finish the race tomorrow inside the top five. It will be tricky from 12th on the grid but I will do my best to fight hard tomorrow." "An obviously disappointing result in Race 1 here at Qatar after an extremely promising build-up, and the best race preparation that we have experienced all year. As always, the biggest positive is that both riders are uninjured and in both cases, as always when you are pushing the limits and looking to go forward, mistakes can happen. Both riders are talented and intelligent enough to use that experience to learn from it. Michael was caught out when Tom, who was clearly struggling a bit, was much slower in the middle of the corner than expected as he was lining him up for a pass. Fortunately, Tom himself was not negatively affected. Alex had closed right up on Chaz Davies' back wheel to fight for second position and just asked a little bit too much of the front at the final corner. We are still really looking forward to tomorrow evening's race. The guys have a lot of work to do from the fourth row of the grid but I am confident that Pata Yamaha can secure two good race results out of the Qatar weekend." 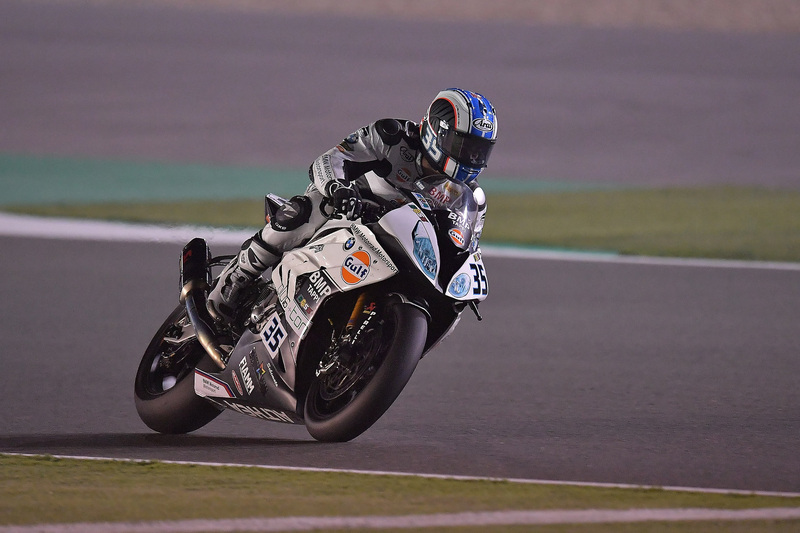 The 2017 Superbike world championship concluded today at the Losail International Circuit and, for the Althea BMW Racing team, it proved to be a tough final outing. De Rosa crossed the line in eleventh position but a highside for Jordi Torres unfortunately ruled him out of the race very early on. Superbike - Race 2 – fourth on the grid having finished seventh in yesterday’s race, Torres was lying eighth through the first corners. Unfortunately, it wasn’t the Spaniard’s day though, as a big highside at turn 5 on just the second lap saw him end his race in the gravel. Fortunately Jordi was not seriously injured, but this wasn’t how he had hoped to conclude his adventure with the Althea BMW team. From thirteenth, De Rosa got away well to position twelfth. Earning several places through the first laps, the Italian was up into ninth by lap three. Following Guintoli, Raffaele maintained good pace, lapping in tenth position through the central phase of the race. Pushing all the way to the line, the Althea BMW rider crossed the line in eleventh place. As the 2017 championship draws to a close, Torres closes in ninth place with 158 points, De Rosa fifteenth with 53 points. In the manufacturer’s standings, BMW finishes fifth with 187 points, while the Althea BMW Racing team positions fifth in the team standings having accumulated a total of 230 points during the 2017 season. The Red Bull Honda World Superbike Team wraps up the 2017 FIM Superbike World Championship with a solid performance by Jake Gagne, who was twelfth again at the end of the 17-lap, final encounter of the season at the Losail International Circuit. Gagne’s team mate Davide Giugliano was declared unfit to race following an outbreak of gastroenteritis. 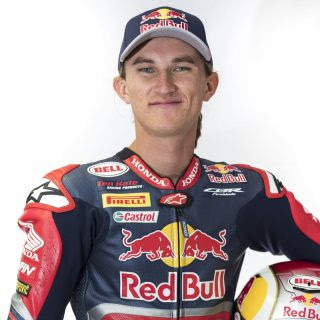 Gagne got a good launch from 17th place on the grid and – after a few laps – he got up to speed on board his Honda CBR1000RR Fireblade SP2 machine and made his way into the top-15. In the first half of the race, the 24-year-old American lapped consistently in the 1’59secs – a pace which helped him consolidate twelfth position as the laps went by. Gagne then rode a lonely second part of the final encounter to equal yesterday’s race one result, albeit with a smaller gap to the top. The Red Bull Honda World Superbike Team will begin preparations for the 2018 FIM Superbike World Championship with a private test on November 22-24 at ‘Circuito de Jerez’ in Spain. I was happy with the progress made today in warm up because we improved the feeling with the front-end of the bike and the rear grip got better, too. My start to the race was pretty good, but unfortunately I found myself on the outside at turn two and that cost me a couple of places. Because of that, I ended up losing a couple of seconds from the group ahead. It was kind of a bummer, because I think we could have stayed with them and battled for a better finish. But nevertheless I’m happy because we made a lot of progress throughout the weekend and I learned a lot, so thanks to the team and Honda for inviting me back for one more race this year. It’s a real shame that I was unable to take part into this final race of the season, but unfortunately the gastroenteritis has been debilitating me for a few days now, and today I was in no condition to compete. I want to thank Honda and the team for this great opportunity to get back to the World Superbike paddock this year, it has been a pleasure to work with such a great squad. The boys have done an incredible job and Ronald has put together a great group of people. It has been a tough year for all of them no doubt, but I’m sure things will turn around for the better soon and I think we have done a good job with the bike in these few rounds together, which will hopefully set things into a good direction for the future. Today it became evident as we got closer to the race that Davide’s physical condition was getting worse and worse, so it was a wise decision by the Medical Director to declare him unfit to compete. We want to thank him for stepping in this year as well as for his contribution and feedback to the development of the Fireblade. Jake managed to equal his best WorldSBK result today to wrap up what was a very positive round for him: he improved session after session and he could have aimed for a top-10 finish had he not lost touch with the group ahead in the early stages. Let’s not forget this was only his third-ever World Superbike round and the first under floodlights - on a track he had never ridden before. So hats off to him for today’s performance and a thank you for racing with us. All in all, it has been a very difficult season from many angles but we will come back stronger and hopefully this year will serve us well for a better 2018. Three time FIM Superbike World Champion Jonathan Rea (KRT) secured his 16th race win of the season this evening in Losail to set a record total of 556 points in one year. Tom Sykes (KRT) crashed out from a podium position early in the last race of the 2017 season and no scored. For the final race of 2017 Rea started from ninth place, under the reverse grid Superpole regulations, but got up to the lead on lap four. From that point he started easing his way forward and maintaining a gap to the riders behind. His strong finish saw him 153 ahead of overall second place finisher in the points, Chaz Davies, after 13 rounds. Rea was never off the podium in any race he finished this year.